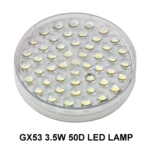 The GX53 range of under cabinet lighting is a collection of 240V mains powered lights that will give you the same lighting effect as a low voltage 12V downlight. 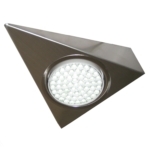 This fitting is ideal for installation under any kitchen cabinets or shelving units. No LED Driver is required and the LED bulb can be changed. 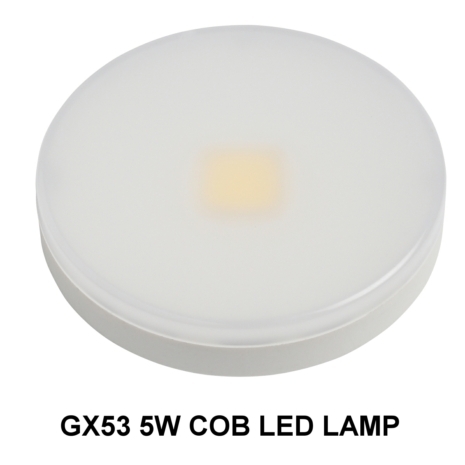 These lights look good due to the replaceable bulbs, however is there a recessed version with a 65mm cut out or any you would recommend that would give the same light effect and are also mains powered? 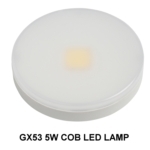 Some of these lights are described as LED COB lights - what is the acronym COB standing for please? what is the height of these lights? are they 50mm high?